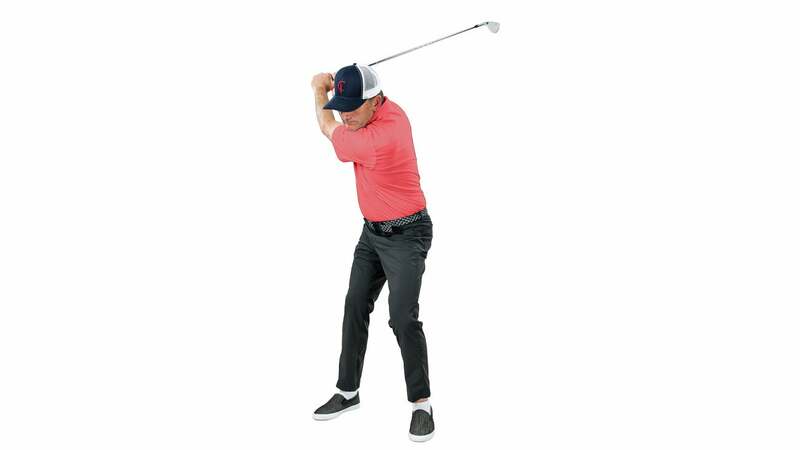 If you set up with a narrow stance and a flared left foot, you won't feel the need to lift on the backswing. In an attempt to add yards, you overreach on your backswing, lifting your arms as high as they can go. Unfortunately, you lift your torso, too. Now you’re off plane. Try this instead. Set up as normal, but with your feet closer together and your left foot flared. Congrats! You have full range of motion. No more need to lift. 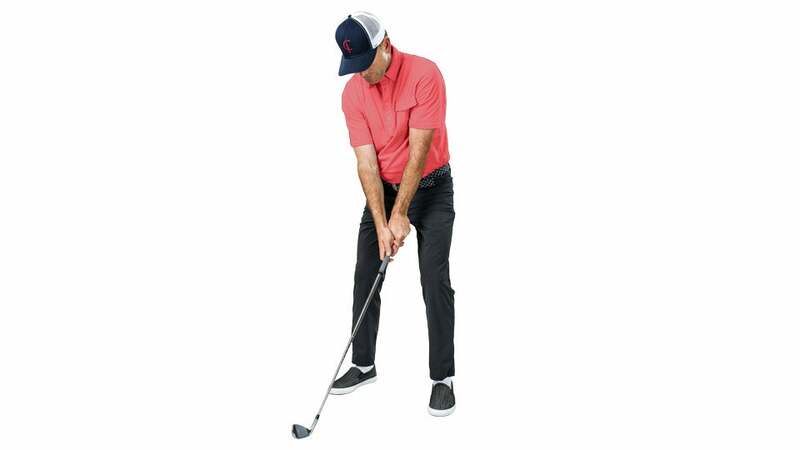 As you take the club back, think “squat” instead of “lift.” Try to twist into the crease created in your trousers near your front right pants pocket as you turn back, keeping your right foot firmly planted on the ground. It should feel like you’re rotating internally into your right hip, not upward. And, yes, it should feel like a squat. Think about rotating internally into your right hip instead of upward. To make this internal rotation even easier to execute, smoothly bend your left leg as you rotate back. Try to get your left knee moving out toward the toes of your left foot. It’ll feel like you’re tilting slightly toward the target. That’s good! Now you can spring up from the ground at impact, clearing space for your arms to fire through impact with increased velocity and power.